So Zak wanted us to get the kids’ take on displacer beasts and other monsters. 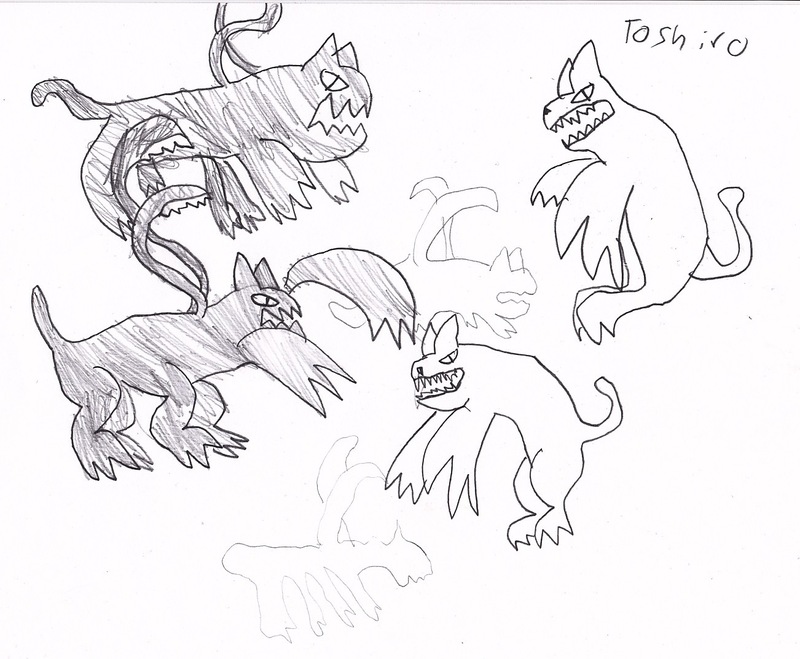 I gave my in-house comic book artist a little bit of art direction and asked for a battle between displacer beasts and their mortal enemy, the blink dogs. I showed him the 1e and 3e monster manual illustrations for both. He though the 1e was better, but he also loves cats. 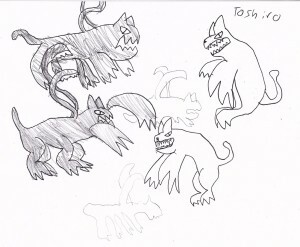 The idea of having the wise blink dogs attacking an empty space was mine, but he decided there should be an outline of the displacer beasts.